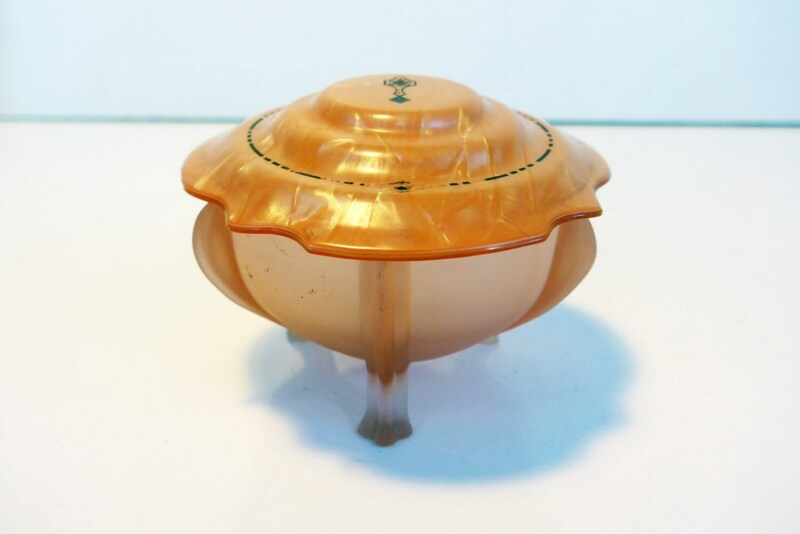 Wonderful Art Deco trinket jar with a celluloid lid that is circa 1920 to 1930s. 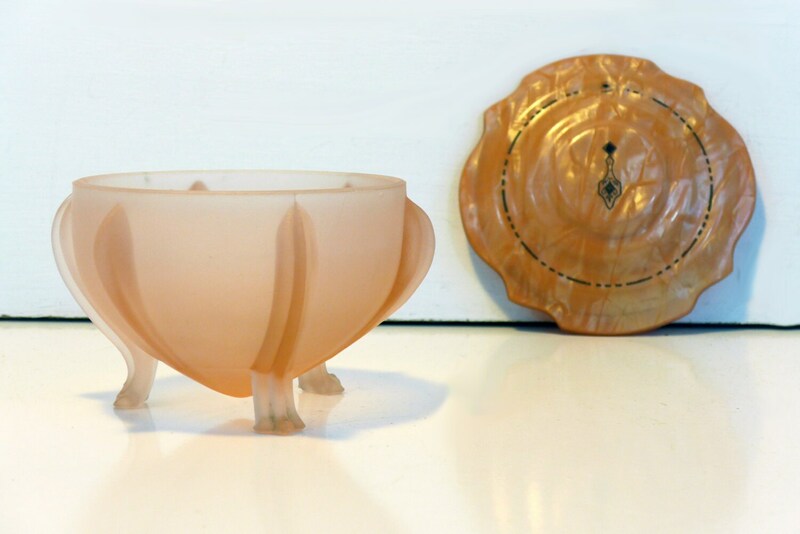 This peach colored dish has a glass bottom with three short legs. The glass has a satin finish. 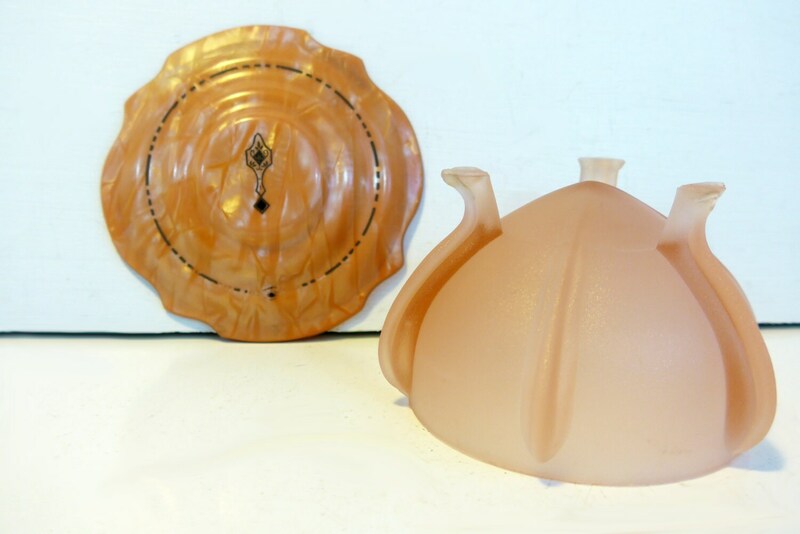 The top is celluloid and has a scalloped shape. 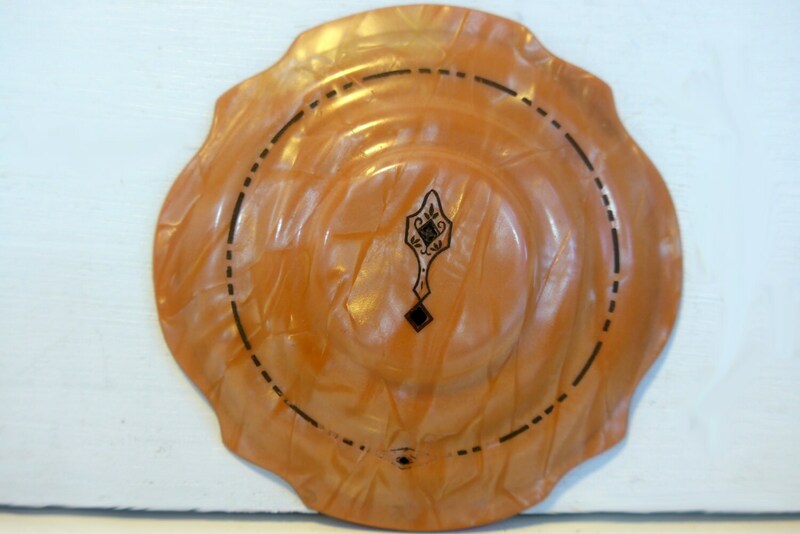 The top is decorated with black designs in true Art Deco 1920s style. The top sits loosely on the glass base. Measures about 3" high. The jar and the top have an approx. 4 1/4" diameter. Lid is in nice shape with a slight bit of black paint loss around a section of the outer rim - see photo #2.